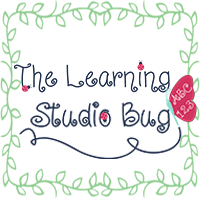 The Learning Studio Bug: A Brand New Year! We're taking in the last bit of our winter break. These are my two fun loving snow flakes. From iceland skates to biking and hiking, we definitely had a whirlwind of a winter break time together. Now it's a brand new year! A chance for new beginnings and fresh starts. And it certainly is in my case. I am stepping out of the Second Grade Parade and jumping right back into the Cutie Pie Cool Kinders. I am so jazzed about getting in there! 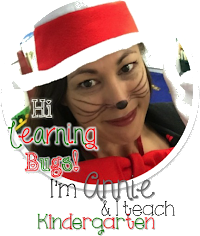 So much exciting learning to share! I'm a big advocate over creating a high~tech classroom. Especially since our little mini masters need to be adequately prepared to thrive in this information age. So I have, been and constantly are researching various apps and programs to implement for my little cuties. I feel like a tech sponge with the amount of fantastic finds which I come across almost daily in my quest. Indeed, my ipads are charged and ready to go! Now I simply just can't wait to get them started! It is already destined to be an amazing new year!